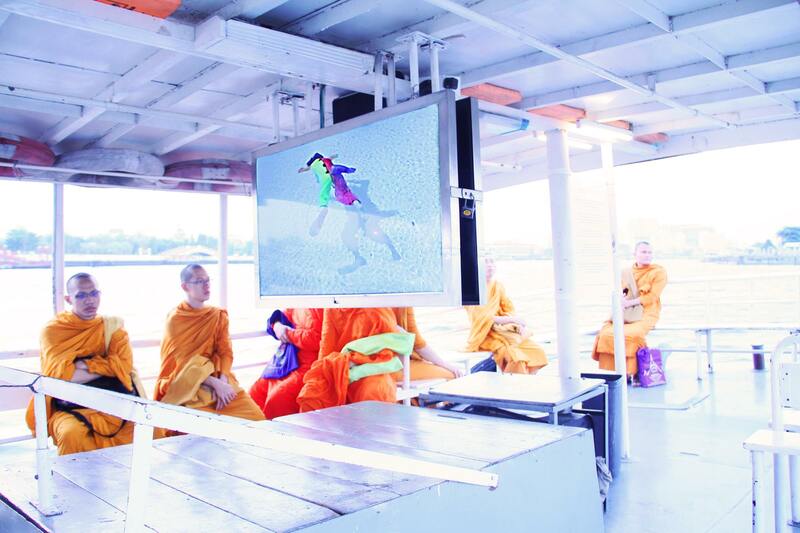 Should you ever find yourself need to cross the river between Tha Tien and Wat Arun, opt to take The Ferry Gallery. 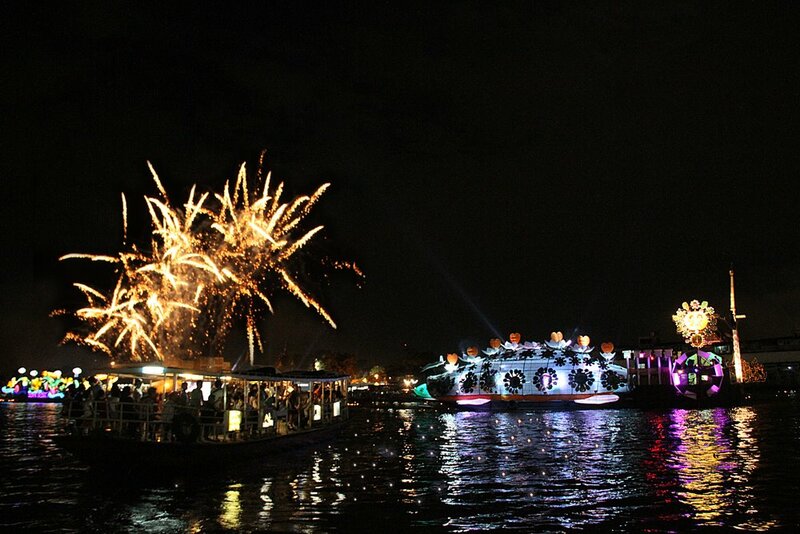 The ferry runs from 5 AM to 9 PM daily. 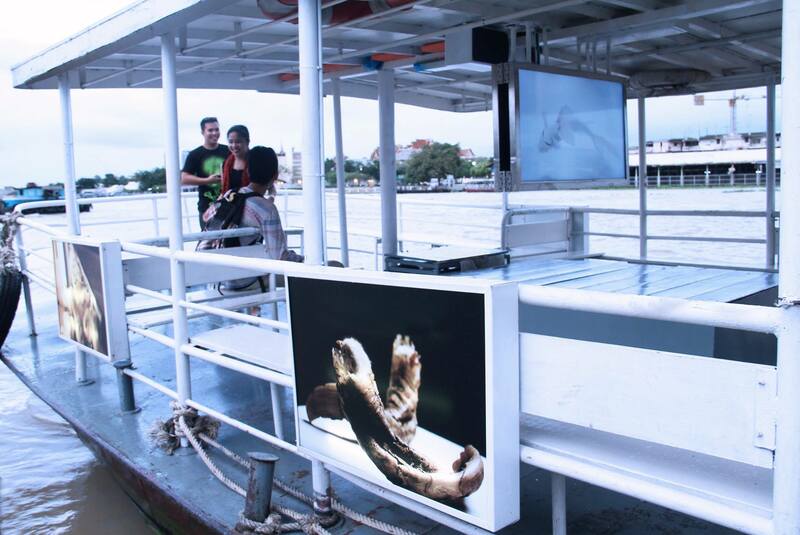 The brainchild of Thai artist and entrepreneur, Kawita Vatanayankur, the ferry is a regular river-crossing vessel that is also designed as an art space. A ride costs the normal ferry fee of three baht per person per trip. The key mission of The Ferry Gallery is to bring art to the everyday people. 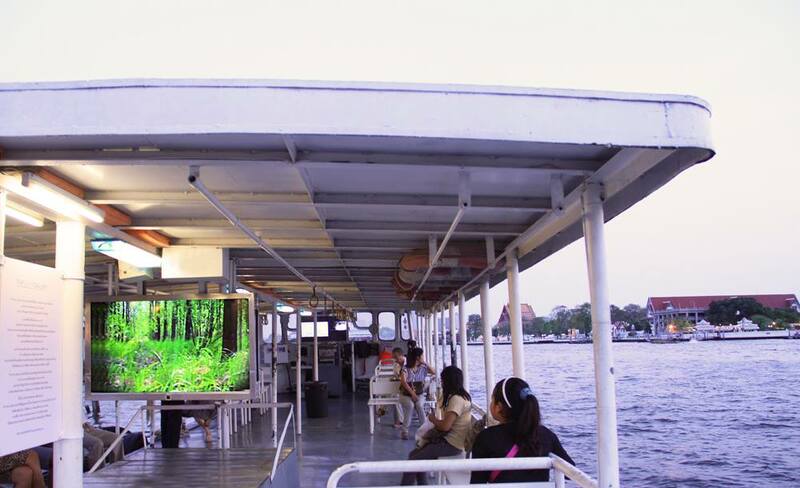 Strategically located between two of the most popular tourist destinations, the ferry is guaranteed a large number of audience who can now have an alternative view to their phone screens or river scenes. 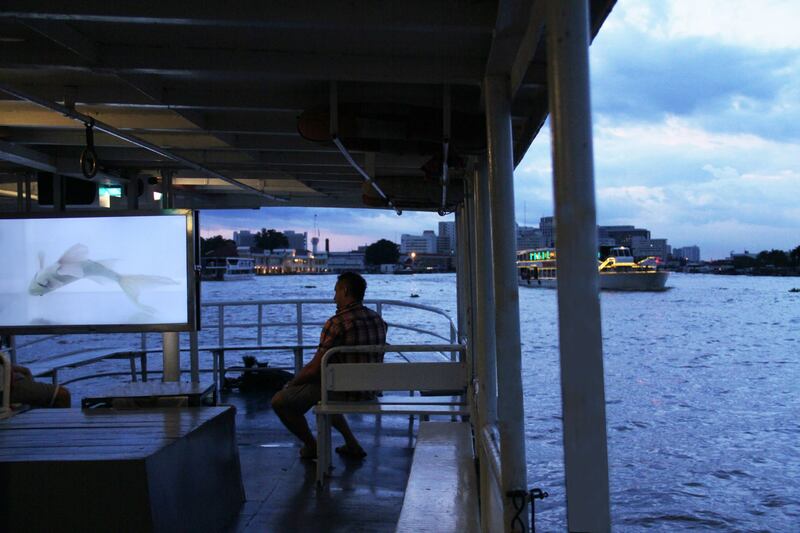 Works are exhibited on three large TV screens on deck with passengers and on eight light boxes on the exterior for others looking at the ferry. Exhibitions are set to last two to three months. The ferry stops for about 10 minutes at each pier, and takes about five minutes to cross the river. So board it and make your ride a little more memorable and artful as you go on with your day.